Christian is a UK based multi nominated (including Ivor Novello, BAFTA and World Soundtrack Awards), multi award winning composer. Recent work of note includes BBC TV’s remake of “The Go Between”, ITV’s “Tutankhamun”, ITV’s Trauma, a posthumous collaboration with Jerry Goldsmith, alongside co-writers The Flight, on “Alien Isolation” (nominated for ‘Best Score’ BAFTA), the historic conclusion to the Poirot franchise of which Christian composed the final 9 feature length shows. Christian scores the multi award winning cult TV series “Inside No. 9″ with Reece Sheersmith & Steve Pemberton and has just started preparations on its 5th season. Henson notoriously undertakesthe more challenging productions from the harrowing holocaust epic “La Rafle” one of the biggest French films of recent times, Dexter Fletcher’s BAFTA nominated debut “Wild Bill”, Lee Tamahori’s disturbing “The Devil’s Double” to a tryptic of insidious horror and comedies from director Christopher Smith with “Severance”, “Black Death” and “Triangle”. With over 45 films to his name Christian has proven to be a prodigious and versatile force within the UK film industry. Christian’s heritage is from first-wave Drum and Bass and breakbeat music of the 90′s with acts such as LTJ Bukem and The Freestylers. This DNA is present in all his scores alongside his unique, self-taught approach to working with the orchestra. 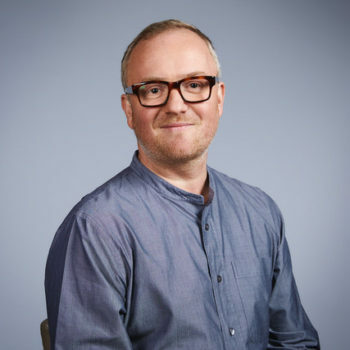 He has collaborated with an eclectic number of artists for his scores including Graham Coxon (Blur), Dot Allison (One Dove, Death In Vegas, Massive Attack), Leo Abrahams (Brian Eno), Skye (of Morcheeba), Natasha Khan (of Bat For Lashes), Synergy Vocals (Steve Reich) and Ed Harcourt. In 2007 Christian co-founded the company “Spitfire Audio” providing tools for composers the world over. This company has developed a cult global following and has become a generous supporter of the UK music industry.